DMV Archives - William L. Balduf, Esq. Do I have to take a breathalyzer test if the police ask me to? Most folks know that they have a right to refuse this test, and that is true. Many people are under the impression that refusing a breathalyzer test if they have been pulled over is a good move. In many cases this is NOT a good move. This is why you need to get good and experienced advice. Lets clarify something first. There are two breath tests you will likely be subjected to if suspected of driving while under the influence of alcohol. The first test is the roadside test. The second is the test done at the police station after being arrested. The first roadside test should only be administered by the police if there are other indicators of DWI – such as a valid traffic stop, followed by possible odor, and standard field sobriety tests. THIS ROADSIDE TEST IS NOT ADMISSIBLE AT TRIAL. Should you take it? Most likely the answer is yes. Regardless of the result, it will most likely not affect your case. If you are arrested and brought down to the station for booking, you should be asked to blow into a calibrated machine. This test is admissible and will be used to produce the actual amount of alcohol in your blood. Should you take this test? It depends. How much have you drank (if anything)? When did you take your last drink? 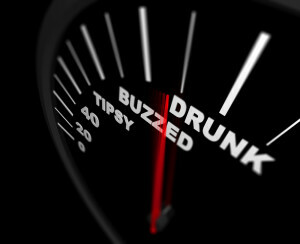 Have you been convicted or plead to any previous DUI or DWI charges? These are some of the factors that come into play when making a decision. You should know that refusing to take a breathalyzer test may result in an administrative suspension of your license by the NYS DMV for one year. This administrative suspension will prevent you from obtaining a hardship license while your case is pending in court and may result in an additional suspension of your license by the DMV beyond any suspension imposed by the court. You must think very carefully before refusing a breathalyzer test. If you have refused a breathalyzer test, or been charged with DWI, don’t wait to get good advice. Contact William Balduf, Esq. and let his 30 years of experience work for you. Serving Syracuse and Oswego, New York.